If you happen to find yourself in the vicinity of any of these Brakspear pubs between the 9th – 18th November then you are in luck! Because November sees the return of the sixth annual Brakspear Jazz & Blues Week. Nineteen pubs in Oxfordshire and beyond will host events featuring an array of jazz and blues acts, exclusive meal packages, and, of course, some cracking beer. 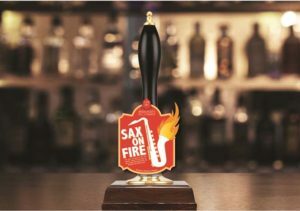 ‘Sax on Fire’, a new, special edition beer brewed at the Bell Street Brewery to celebrate the Jazz & Blues Festival, will be available in several participating pubs throughout the festivities. Great music, great pubs, great beer – what more could you ask for?